I have updated the TLM Finder to include the country name in the data, which when the app is run is added to the address field. This allows the Maps application, when you tap on the address, to more more easily find the Mass location. The other tweak I did for version 1.1 was fixing a minor (though annoying) bug where the iAds banner was not always snug against the bottom of the screen. 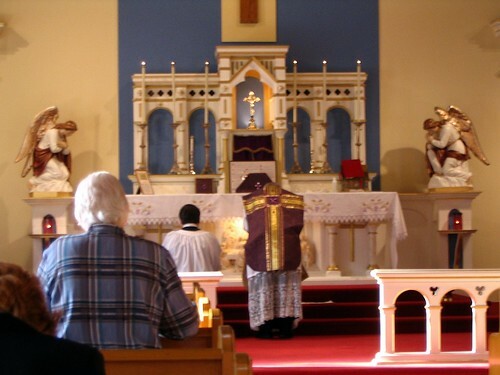 Also, I have been busy adding Canadian Latin Masses to my database. I should be done with my first pass for Canada in a few days, but the majority of the Masses are in there now. My next goals are to add Masses for England, Australia, and Mexico, likely in that order. If you know of websites with listings for Latin Masses, please let me know! Lastly, thank you to those who have emailed me with corrections to times and locations! I try to get those applied to the database as quickly as possible. As soon as I get them applied to the database, they show up on your phone once you tap the refresh button. This entry was posted in Catholic, Culture, Tech News, Theology and tagged Catholic, Catholic Church, Extraordinary Form, iOS, iPad, iPhone, Latin Mass, Latin Mass Finder, or, Traditional Latin Mass, Traditional Latin Mass Finder. Bookmark the permalink. Thanks for all your hard work. I especially appreciate the addition of Canadian sites.